Many employees in today’s workforce are looking for, and expecting, more flexibility in when and where they complete their work. This leads more organizations to offer opportunities to remote workers. According to a new study from IDG, more businesses are renewing their focus toward digital technologies. The result increases opportunities for remote workers. For example, the State of Vermont just published a press release indicating they will pay people $10,000 to move to Vermont to work digitally and remotely. More on that in a minute. The study, IDG’s 2018 State of Digital Business Transformation, strives to gain a better understanding of how organizations are evolving to a digital business model, including their revisions to technology strategies. The study finds that digital-first business leads the pack in terms of importance. This benefits remote workers. Eight-nine percent of organizations have already adopted or are planning to adopt a digital-first business strategy. This strategy foregoes traditional media coverage and instead chooses to release content online and through new media channels. By choosing this strategy, all enterprises can increase their revenue by 23 percent, notes The State of Digital Business Transformation, 2018. Not only can increased digital strategies increase revenue, it can also improve viability for remote workers through improved collaborative communication strategies. One major way that telecommuting can fail is through poor communication strategies. Currently about 43 percent of U.S. workers work remotely in some capacity. Gallup research finds that in order to be more engaged than those who do not work remotely at all, employees need to spend at least some of their time face-to-face with coworkers. Workers who spend 100 percent of their time working remotely are the least engaged of all workers, negatively affecting turnover rates, productivity and profitability. Connect with goals and personal growth. As a people manager, you need to work with all of your employees on a personal level. This includes understanding their personal growth and career goals. “Career growth opportunity” is the number one reason employees leave a company. Therefore, if leaders aren’t aware of where their employees want to go in their careers, they may find them leaving for greener pastures. Provide opportunities to connect with coworkers. When it comes down to it, all of your employees need to feel as if they are part of the same team. Increased digital strategies can greatly help in this area as it may not always be feasible to bring remote workers to the organization. Offer video conferences or intranet sites to allow remote workers to connect with other team members. Regardless of how often a team member comes into the office, all team members need to feel as if they are part of the team. Improved communication strategies can help bring together leaders and all workers in and out of the office. You might still be on the fence regarding hiring remote workers for your organization. However, the high demand for telecommuting positions has started to influence state policies. According to Vermont Will Pay Remote Workers $10,000 to Move Here, the governor of Vermont recently signed into law a bill that offers to pay remote workers up to $10,000 to relocate to the state. The new law is meant to help cover moving costs and other expenses for non-residents with full-time remote employment with out-of-state companies. The program is expected to go into effect for new full-time Vermont residents after January 1, 2019. Current Vermont residents are ineligible for the program. This new program is a reflection of the changing workforce as many workers, specifically millennial workers, are looking for opportunities for increased work-life balance. Telecommuting is one avenue for receiving a flexible work schedule. The desire for a change in the status quo is framing the future of work. States (and businesses) are starting to take notice and change their own policies to match the desires of their workforce. Many workers are looking for increased flexibility from their employers, including the opportunity to work remotely at least part of the time. With renewed focus on digital technologies, it’s an opportune time for leaders to evolve their digital business models. Leaders should focus on improving their collaborative communication strategies to improve engagement levels with their remote workers. Strategies include: praising their good work; connecting with their personal growth and career goals; and providing opportunities to connect with coworkers. Remote workers are increasingly common in the workplace, enough so that they are influencing state programs. The workplace landscape is changing, and it’s best for employers to take notice and evolve with the times. TIGERS® Success Series takes the guesswork out of workforce development. TIGERS provides a comprehensive, robust system for improving both your work environment and profitability. 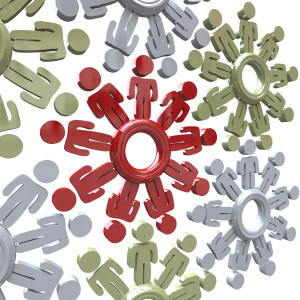 We specialize in developing high performance work cultures. Scaled to grow as your organization and leadership performance grows, our proprietary Team Behavior Profile, Management training workshops, and online micro training packages are based on the six principles we have found to be the right mix to make this happen. 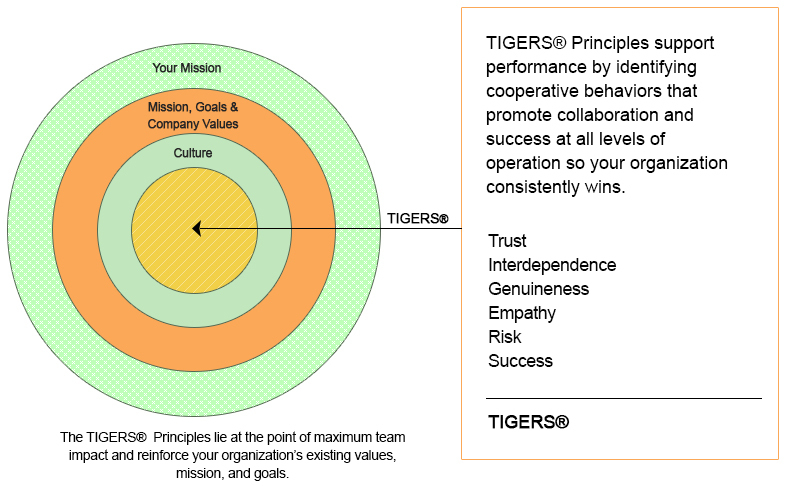 The TIGERS 6 Principles are Trust, Interdependence, Genuineness, Empathy, Risk and Success. Born from our many years of business, psychology, and educational group dynamic research, and subsequent four years of independent evaluation, we instill and sustain behaviors that improve work group performance and talent retention for measurable ROI. For more information or to request a presentation to your group or association, call 1+877-538-2822. To subscribe to our complimentary newsletter, click here.